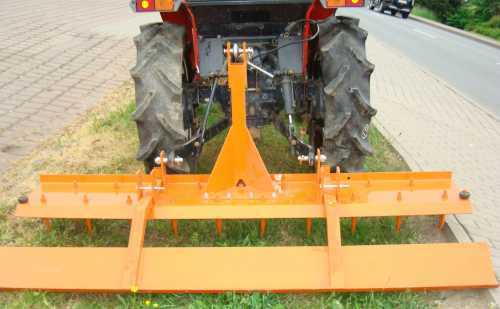 The grader / land leveller is mounted in the rear three-point linkage KAT1 or KAT2. 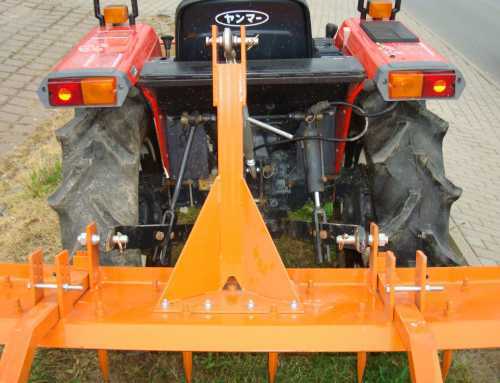 It is ideal for loosening and leveling of sand riding grounds!!! 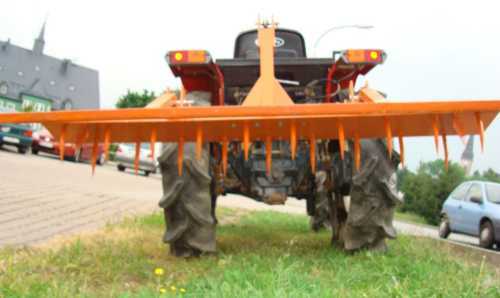 The pusher blade is adjustable in height. 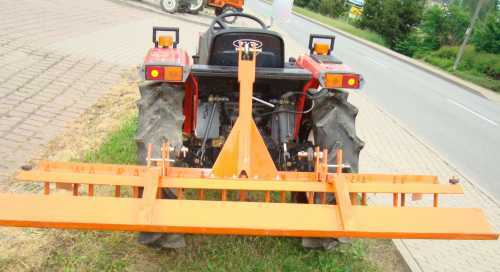 The working width is 2 m. The grader is 30 cm wide.